At Foundation Solutions 360, we are honored to serve our community with basement waterproofing in the Marine City, MI area. Helping others feel safe and comfortable in their home brings us joy while we get to do what we love. With over 20 years of experience in Marine City, MI, why would you go anywhere else? Our experienced company goes above and beyond for all of your basement waterproofing needs in St. Clair County. When is Basement Waterproofing Needed? If you’re not familiar with basement waterproofing, it’s essentially the process of using the latest techniques and materials to protect your basement from water intrusion. In Marine City, MI, basements are prevalent in many areas. If you’ve ever owned a home with a basement, you understand that they can sometimes give off a very cold, damp feeling. At Foundation Solutions 360, we work to counter that atmosphere with a calm, less humid atmosphere. However, no one basement is exactly the same in Marine City, MI. Basement atmospheres are different all over town and therefore, the way we perform our basement waterproofing services should be different as well. In order to understand how to effectively perform basement waterproofing on your property, we will always identify current issues and even potential threats. 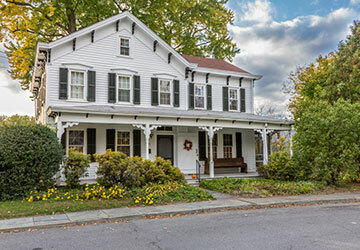 We will check the location of your home and assess the landscaping. Is it located on low terrain? Is the house built on a slope? This will give us a better idea of what’s needed. We will then look at your flooring. Does it need to be resealed? Are there cracks in walls and floors? How about your drainage system? Was it installed correctly? Is the downspout too close to a wall? How about your eaves and gutters? Are they doing their job to move rainwater and debris away from your foundation? All of these give us a better picture of how to perform basement waterproofing the best way possible. Once we have the perfect picture of what’s happening on your property, we will get to work to ensure that those issues do not come up again. We take pride in our work and are so confident in our services that we offer a lifetime transferable warranty to all of our Marine City, MI residents on basement waterproofing. 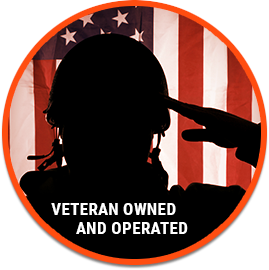 Foundations Solutions 360 is a local veteran owned and operated company that is licensed and insured. For more information about our basement waterproofing services in Marine City, MI, give our expert team a call today at (855) 532-5360.